Stitches and Scissors: Merry Christmas! I thought I would take a quick break from packing to say Merry Christmas all my bloggy friends. I hope you all have a great holiday. 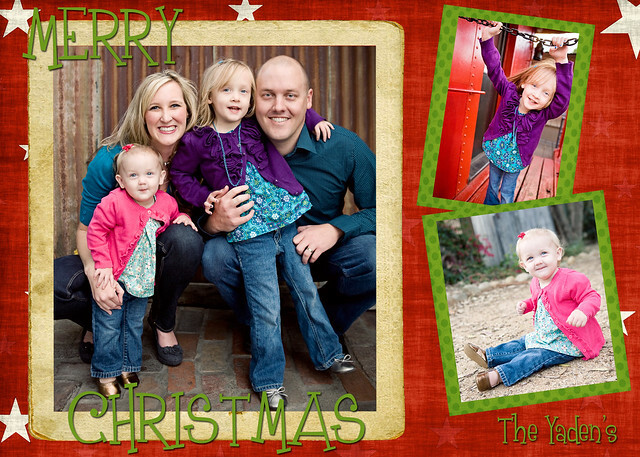 I love making our Christmas card each year in Photoshop. 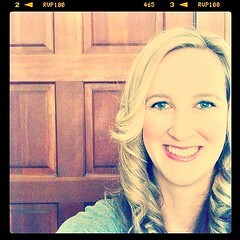 If you don't have that software you should get it is amazing to make cards and to edit your photos in. Well I am done with my quick break and back to packing. I put a roast in the crockpot for tongight so it will make for an easy yet yummy dinner amidst all this mess. Hope you had a wonderful Christmas! I have just decided to follow you afer finding you from Pitter Putter Stitch. I love the type of colours and quilts you put together...very inspiring. Please feel free to visit me anytime you like and I'd love to hear from you!